The Shiite view on infallibility is challenged by the Muslim majority under the pretext of exaggeration (ghuluv). Shias consider the Imams (a.s.) as infallible i.e. individuals who do not err in any religious or worldly aspect from their birth till they depart from this world. Some Muslims claim that the belief of infallibility has no place in Islam. The Imams (a.s.) including Ali Ibn Abi Talib (a.s.) were prone to making errors (Allah forbid). To say that infallibility has no place in Islam betrays a very poor understanding of the Holy Quran which has openly mooted it in several places for Allah the Almighty and the Holy Prophet (s.a.w.a.) as also ‘those vested with authority’ (Ulil Amr). Also the concept of infallibility does not amount to exaggeration in religion. As evident in Allah’s warning to the Christians ‘guluv’ is taking someone as God. (Surah Nisa (4): Verse 171). Everyone agrees that the Shias do not take the Imams (a.s.) as gods; rather, they consider them as divine representatives on the earth. Imams (a.s.) are the successors of divine Prophets (a.s.). This is one among the many narrations which underlines the leadership, superiority and infallibility of Ali Ibn Abi Talib (a.s.). 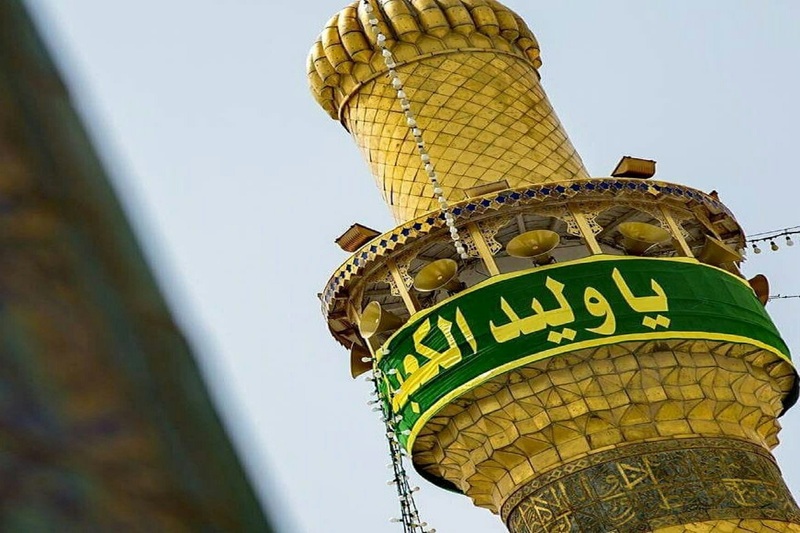 Due to the fact that the report – ‘Ali is with the truth….’ – is more widely documented by the scholars of both sects and Shia scholars in particular quote it extensively in discussions with the Ahle Tasannun, we have analyzed this tradition in detail. Haithami has also quoted this report with his own chain as well as from Saad Ibn Abi Waqqas and he from Umm Salmah (r.a.). Ibn Qutaibah al-Dainoori (or al-Diyanoori) has quoted from Muhammad Ibn Abi Bakr (r.a.) that he was with his sister Ayesha and demanded from her whether she had not heard from the Holy Prophet (s.a.w.a. ): Ali is with the truth….then why did she still rebel against him? 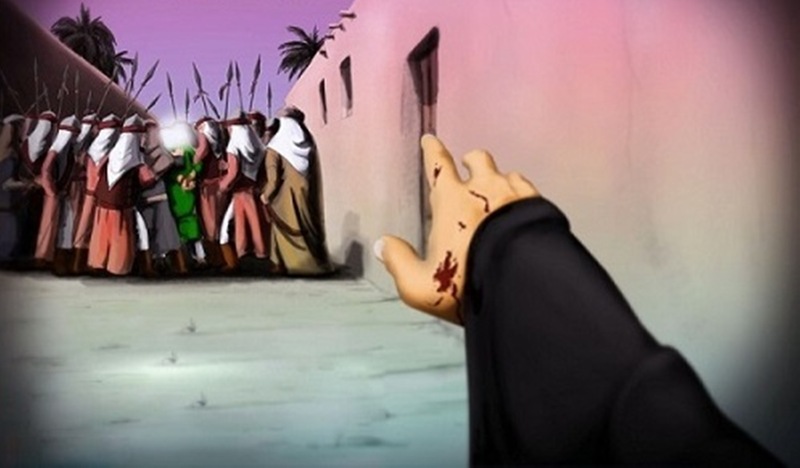 Jaarullah Zamakhshari has quoted that Abu Saabit sought permission and came in the presence of Umm Salamah (r.a.). She said: Welcome O Aba Saabit! When the hearts of the people have turned in various directions, towards who have you turned? O Allah! Turn the truth with him wherever he turns’ which is a clear and brilliant proof for this fact. 8. Hafiz Ganji Shaafaee and Khaarazmi have both quoted from Zaid’s chain that the Holy Prophet (s.a.w.a.) 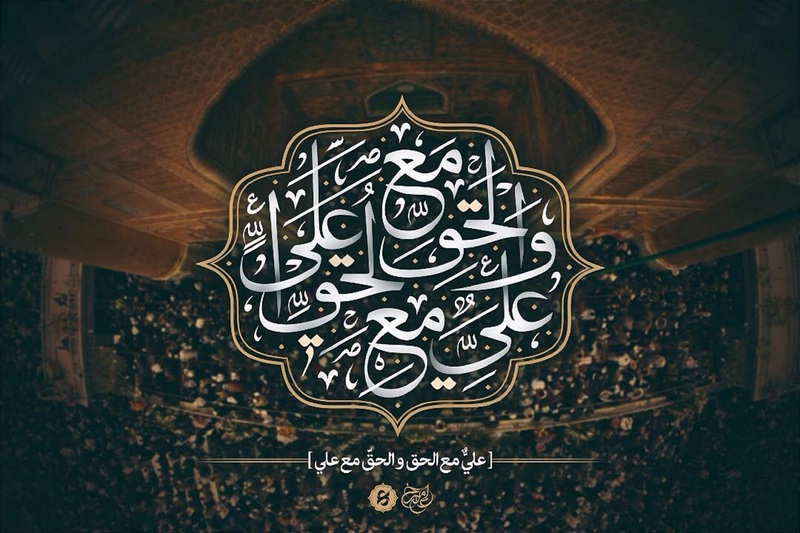 praised Ali (a.s.) thus: Certainly truth is with you, truth is on your tongue, in your heart and between your eyes. Faith has been mixed with your flesh and blood as it has been mixed with my flesh and blood. Abu Ya’la among others has narrated from Abu Saeed Khudri’s chain that the Holy Prophet (s.a.w.a.) declared while pointing towards Ali (a.s.): Truth is with him (Ali), truth is with him. Haithami quotes from UmmSalmah (r.a.) with his own chain saying: Ali is with the truth. One who follows Ali and obeys him has indeed followed and obeyed the truth. One who has abandoned Ali has indeed abandoned the truth. This is the promise taken much earlier than today. A tradition espousing the same concept has been quoted by Umm Salmah (r.a.) through a correct chain wherein the Holy Prophet (s.a.w.a.) declared: Ali is with the Quran and the Quran is with him. The two will not separate until they meet me at the Pond. Tirmidhi who has documented the tradition in his book ‘Jaame al-Saheeh’ considers its chain as irregular and strange (ghareeb). Nevertheless scholars of the AhleTasannun maintain that even the strange traditions of Tirmidhi are a definite proof in a debate. Also we must consider that Tirmidhi probably considers it strange because it clashes with his own belief on the matter of Ali Ibn Abi Talib (a.s.) vis-à-vis other companions and wives. Haithami has recorded the tradition in Majma’ al-Zawaid with an observation regarding one of the narrators thus – The chain has one Sa’d Ibn Shoaib whom I cannot identify, while the rest are correct. Allamah Amini (r.a.) has answered Haithami’s objection thus: The person in question- Saad Ibn Shoaib who Haithami could not identify is none other than Saad Ibn Shoaib al- Hazrami. Due to the slight change in name, Haithami seems to have got confused about his identity. The Ahle Tasannun consider Saad Ibn Shoaib as reliable and trustworthy. For example,Shamsuddeen Ibrahim Jawzaani records, “He was a well-known, virtuous and honest person”.The tradition clearly establishes a direct link between the truth and Ameerul Momineen Ali Ibn Abi Talib (a.s.). Between the two, Ali Ibn Abi Talib (a.s.) is the axis around which the truth has been commanded to revolve. There is no way out for the Muslims other than to acknowledge this fact and place Ali Ibn Abi Talib (a.s.) at a higher pedestal than wives and companions, who have also acknowledged this fact in favour of Ali (a.s.).